ANIMANTZ is an Animation company since 2005. Over a period of these years Animantz has developed a good rapport with the animation Industry and are one of the top animation companies in India. Animantz has worked with leading animation studios Worldwide and has developed more than 1500 minutes of best 2d animation in the form of episodes, movies and Ads. Animantz has also worked for Gaming and E-learning Industry in developing animation for their needs. to various customers across the world. Animantz, for the first time using all its experience, is in the process of creating its own IP, a 2d animated episodic film for broadcasting, titled FUN-RUN. Kindly check our portfolio. Animantz is also keying up for a Joint venture with a Gaming company in UK in creating a 3D game for PC , X box and PS3. Prabakar, owing to his passion towards creative Industry, found Animantz in 2005. He formed and led the team from the beginning with the only prime goal of giving the best quality animation to the customers and he has never compromised it till date. He is a qualified Mechanical Engineer from College of Engineering, Guindy, Chennai. Prabakar is also a certified Grade B Mediator in India under the Arbitration and Conciliation Act, India. 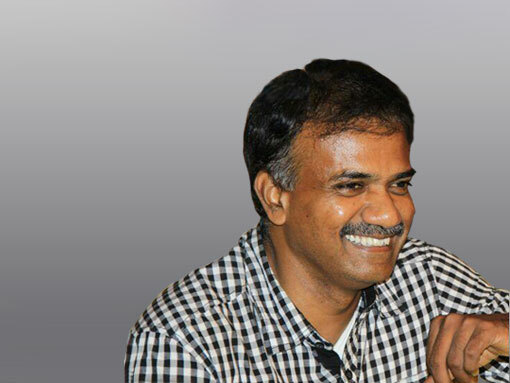 As Creative Director at Animantz, Sudhakar lead the team devoted to creating new concepts, Storyboards and Direction. He has done his B.F.A., at the Bharathidasan University in India. He is responsible for presentation of strategy and creative concepts to all clients. He works hard and takes ownership in all animation activity. This attitude has mentored his team member grow with knowledge and gave them feel of family environment. He adapt to new technology easily. Recently his 2D Animated film "The Turboosters", got FICCI Award and telecasted in one of the reputed kids channel "Nickelodeon" in India.